Find My Workspace lists over 95% of the business centres market in Dover. Simply click Request Quote to check pricing for one office, or Add to Basket for multiple offices. 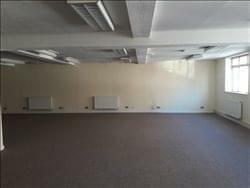 This business space is located in Dover Town Centre, and boasts bright and spacious office rooms, suitable for any business from start up to well-established, expanding companies. There are varying office sizes depending on your needs and there is a possibility to have your company branding/signage on the ground floor level facing the high street, exposing the branding to the footfall of the Town Centre. The building is accessible 24-hours a day and is fitted with adequate lighting, central heating and kitchen facilities, giving you all the amenities you’d expect from the modern office space.